Delaware Representative Brian Shupe has introduced a bill that would make shelter dogs the official state dog. The bill emphasizes that many dogs desperately need forever homes, and highlights some of the numerous benefits of adopting from a shelter. For example, the dogs are often already spayed or neutered, housebroken or house trained, making the transition from new pet to furry family member easier. One of Shupe’s goals is to raise awareness for dog rescue and adoption. If the bill passes, shelter dogs will become the mascot of the First State for one year. With the help of local animal rescue groups, Shupe hopes to persuade fellow members of the General Assembly to make the shelter dog’s title permanent. Shupe’s family has a history of adopting rescue dogs, and he owns a grooming boutique and dog daycare with his wife, where the couple has connected with other rescue dog guardians. Shupe’s proposal reflects a growing trend for shelter dog advocacy among legislators throughout the country. In recent years, several states have designated shelter dogs as their official state dog, including California and Colorado. The legislation is supported by the Brandywine Valley SPCA and by several state representatives and senators. Finally, a person with a higher stature who cares about other beings other than inhumaine humains. This should be nation-wide! Good job Delaware…what a great idea. This should be nation-wide all over the world, and dog breeders should top the Hall of Shame everywhere. Please pass this bill. Wonderful humane idea. Hope all the dogs and cats, etc get nice homes soon ! PRAY WITH ME and Thank You ! There is to much animal cruelty in this world. It needs to stop. Great idea and I hope other states will catch on. Thank you, Delaware Representative Brian Shupe, for caring enough to introduce this bill. I pray for its passage and enforcement. What an excellent idea this is. It is for not just dogs but for dogs in need of homes, to promote adoption, and give them some sort of voice. i hope it goes through. with any animal abuse and they condone animal abuse as they certainly do absolutely nothing to prevent these numbers so now,….too many homeless animals. NOW, FINALLY, SOMEONE MAKES A BRAVE MOVE TO ACTUALLY DO SOMETHING ABOUT IT AND THAT IS A VERY GOOD THING. IT’S SO REFRESHING TO SEE SOMEONE HAS A BRAIN IN THERE. FINALLY. Please stop asking us to keep these comments peaceful and family friendly because we can’t. That is why we are posting these comments, to tell it like it is and express our anger and rage at all the stupidity, cruelness and heartless actions of today’s society. How are you going to be able to be peacefulband friendly about that? Sorry my first comment is about all the other horrifc stories, not this one. Well said Marty Bostic! 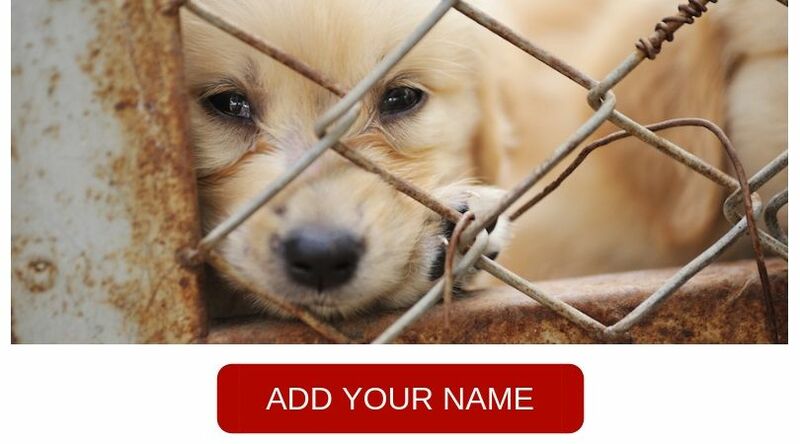 Shocked to hear that thousands of dogs are killed in US shelters every year. Here in the UK no healthy dog is ever put down and members of the public are encouraged to adopt these dogs rather than buying puppies. Excellente nouvelle et un grand MERCI à SCHUPE! Anisa that is wonderful, wish the U.S. would acquire some brains and do the same thing. Once again because my previous comment wasn’t put through. As a senator please do your job and change legislation making it so that all dogs in shelters and for that matter all cats as well are looked after in terms of their health and then loving homes are sought for them. thank you for including cats in your comments!! I don’t really get this. As a politician why wouldn’t you change the law? Thousands of dogs are killed in US shelters every year. Make that a thing of the past and make ‘shelters’ a haven for dogs and cats where the rule is to bring them to good health and find loving homes instead of just giving up on them and killing them!!!!!! Well done Schupe, excellent news. excuse me…. where is the support for cats??? cats rule dogs drool! !